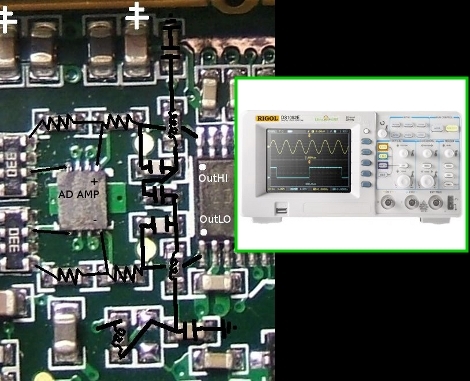 Hack a Day posted yesterday that a guy named Ross turned his 50MHz Rigol DS1052E into a 100MHz capable instrument by removing part of a lowpass filter on the analog inputs. I think it remains to be seen whether there are any other mods required to make this work like a real DS1102E (ie. does the 1052E firmware limit the minimum horizontal timescale?) but this is hardware hacking at its finest! Read more about it on the EEVblog forums.